Canadian federal criminal law addresses cyberbullying. In 2015, the criminal code was updated to include a new offence to share intimate images of a person without consent. Each province and territory defines bullying differently and all have their own legislation or policies to address the issue. 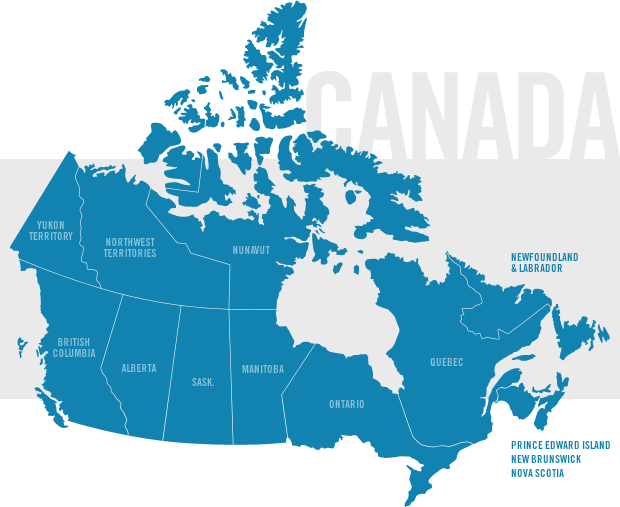 Click on the map or links below to learn more about how the law deals with bullying in your province or territory and your rights and responsibilities as a parent and an educator. These summaries were prepared by PREVNet and reviewed by senior law students. They present our current understanding of the legislation in each province and territory. They are intended to provide guidance but not legal advice for parents and educators. We welcome feedback and will update these summaries as more information becomes available, or as new legislation is enacted.